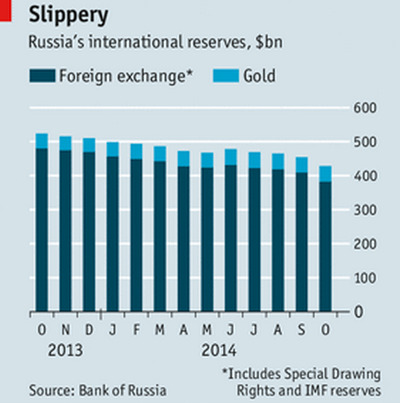 “WE HANDLE our gold and currency reserves and government reserves sparingly.” So said Vladimir Putin on November 13th. Mr Putin is wrong. In the past year Russia’s foreign-exchange reserves have fallen by 20% as the central bank has tried to prop up the rouble. They stand at around $US370 billion, with $US12 billion more at the IMF (see chart). The central bank claims all of this is readily available. But there is some reason to doubt that. 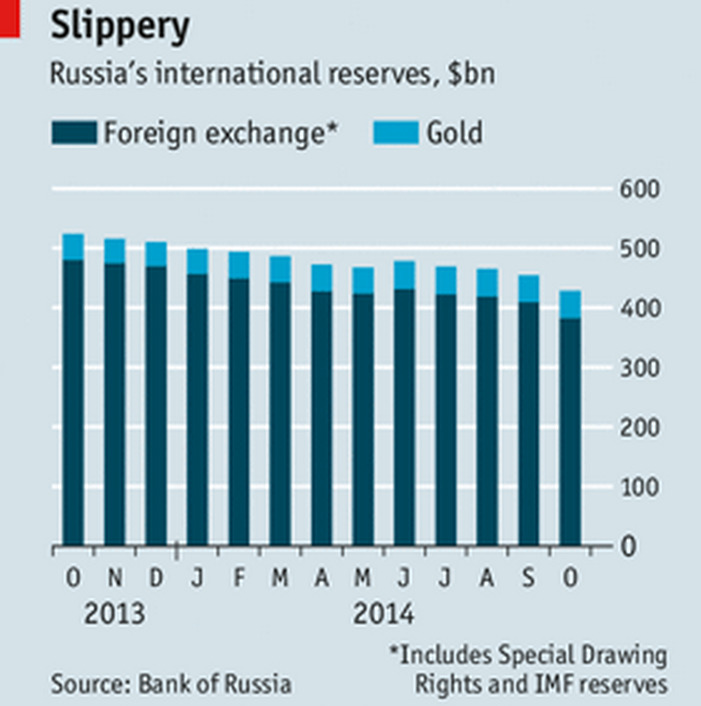 Foreign-exchange reserves have assumed a new importance for Russia in recent months. As Western sanctions have shut Russian companies out of foreign debt markets, they struggle to raise money. That makes it harder to pay back the $US130 billion of external debt that comes due between now and the end of next year. The Kremlin can step in: but if it helps Rosneft, a giant oil company, as it is being asked to, calls for more bail-outs will get louder. Some people argue that Russia’s reserves are so big that they can accommodate such demands and weather the economic storm. But the central bank exaggerates the reserves at its disposal. About $US170 billion of its assets sit in two giant wealth funds, the Reserve Fund and the National Wealth Fund (NWF), and much of what is in these funds could prove illiquid or inaccessible if called on to meet short-term financing needs. Cash from the $US82 billion NWF is committed to long-term infrastructure projects, says Sergei Guriev of Sciences-Po, a French university. The NWF has also provided money to VEB, the Russian development bank, to finance construction at the Sochi Olympics. The loans by which it did so have been “restructured” to allow delayed repayment. 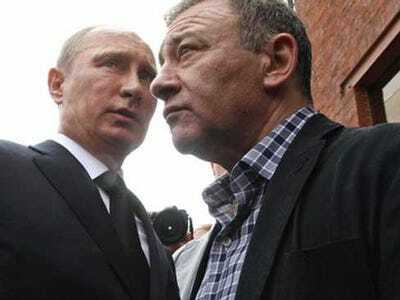 Mr Guriev says many people believe the money to have been embezzled. The NWF may thus be unable to offer any liquidity to the government. In terms of money that could actually be put to use, Russia’s reserves could be more than $US100 billion lower than the headline figures suggest. Mikhail Zadornov, a former finance minister, said in a recent interview with Dozhd, a television channel, that the usable amount could be as low as $US200 billion. If current trends continue Russia may soon have enough for just three months’ worth of imports: below that level, financiers start to panic. That is bad news for a country that will struggle to find cash elsewhere.